Frank Bourque – In this article, we look at 4 awesome examples of how people achieved excellence in urban design. Landscape architects are broad thinkers, leaving us amazed with each project they design. 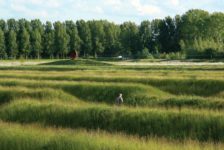 The idea behind landscape architecture is to promote the natural ecosystem and the resourcefulness of people — opposed to serious global issues including climate change, water shortages, and the prevention of hunger. Therefore, designing outdoor public areas, landmarks, and structures is not a job that just anyone can do. Thanks to landscape architecture, our environment is safer, healthier, and more sustainable. 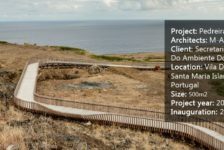 With form and function as the focal points of every landscape design project, roads, parks, highways, neighborhoods, urban plazas, gardens, and even zoos have been completely redesigned, achieving the best use of land resources. Today, we are sharing four great landscape architecture projects that make an important contribution to how our cities look and function. Just because Philadelphia is a growing industrial and business city doesn’t mean that landscape architecture doesn’t exist there. The Navy Yard is a practical space that preserves the historical aspects of the surroundings and blends within them in a great way. Visually, the Navy Yard looks like a clockwork, or like many engines working simultaneously, which is the idea behind the project to create a workplace environment that showcases productiveness and serves as a resting point for every worker. Designed by James Corner Field Operations, a team of innovative landscape architects, the Navy Yard is known to be part of one of the most vibrant corporate neighborhoods in Philadelphia. 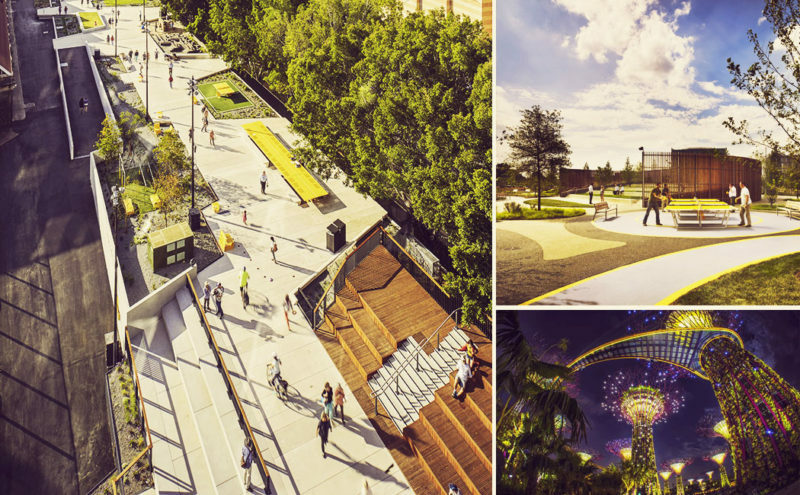 There is a wide social track that organizes the site’s circulation and frames the unique and immersive interior park, which features flowering meadows, hammocks, and an outdoor amphitheater. There are outdoor fitness stations and bocce courts, as well, and when you are tired of playing or walking, you can rest your head on the comfortable sunbeds. Singapore is definitely proud to have the Gardens By The Bay as one of its iconic achievements in architecture. On top of that, these gardens definitely represent the progressive culture and constant development that Singapore is known for. Known as “the forest in the clouds”, there are 18 super trees, ranging in height from 25 to 50 meters, with two of the trees connected by a 128-meter-long aerial walkway. 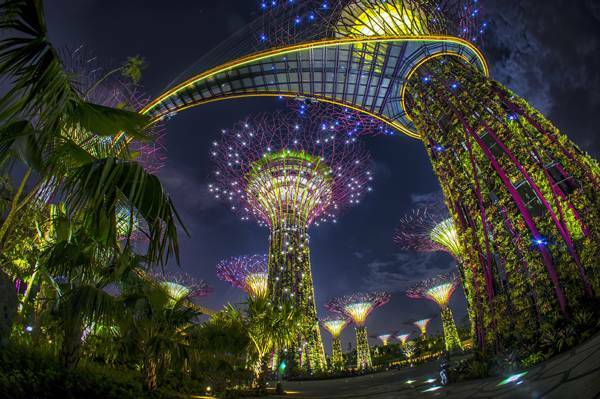 Designed by UK landscape architects (Grant Associates), the Gardens By The Bay is a popular tourist destination. 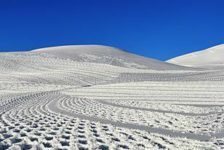 In fact, it welcomed 1 million visitors in only the past two months. This is a mind-blowing fact that shows just how much the community appreciates landscape architecture. 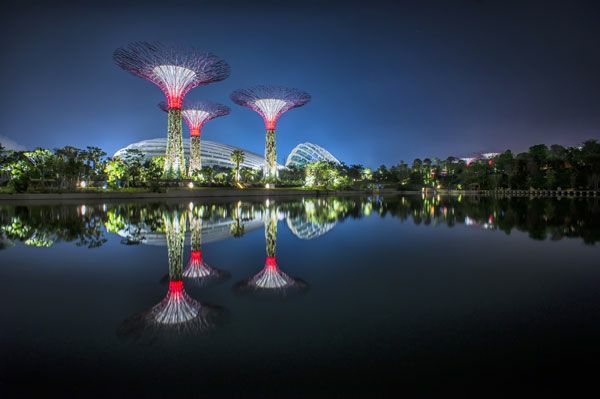 The Gardens by the Bay represents one of the largest gardens in the world of its kind, connecting Bay South, Bay East, and Bay Central, at 101 hectares in total. 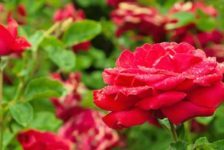 Combining nature with technology, environmental management, and imagination, the gardens feature a rich variety of horticultural species. The glorious views of the Singapore Marina from up high and the wonderful tropical flowers in each of the gardens create a stunning atmosphere — one you must see to believe. And while Bay South Garden is the largest of the three gardens and inspired by an orchid, the others do not fail to deliver what they are known for – glorious waterfront views and a floral beauty that wins everyone’s heart. This street is among the longest stretches of shared space in Europe. 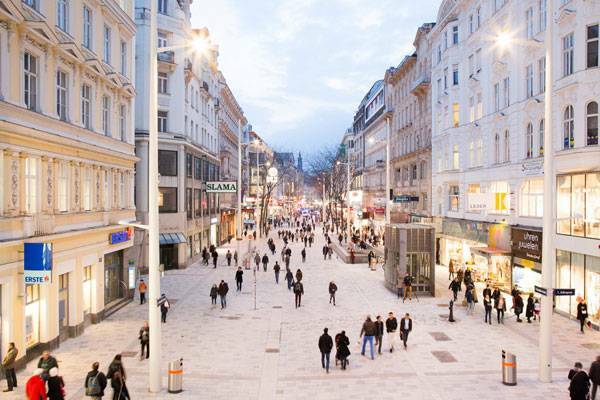 Located in Vienna, Austria, the MariahilferStrasse is a project that stretches from the Westbanhof to the Museum Quarter as a pedestrian-friendly section in the heart of the city. At the same time, this street divides the site into three zones. The central zone is the most popular, offering lots of activities for everyone, while the neighboring zones serve as quieter spaces created for taking a rest after a hard day’s work or a guided tour of the city. There are shops, restaurants, and cafeterias everywhere, complimenting the urban scenery. 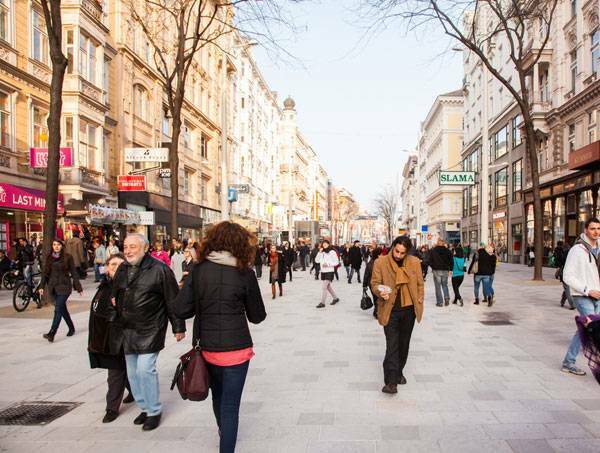 The best thing about MariahilferStrasse is that if you are late for a meeting in downtown Vienna, you can ditch the car, bus, or taxi and rely on your feet or pedal your way through the 1.6-kilometer pedestrian area. MariahilferStrasse definitely has made locals love their city even more and helped tourists to come back home with better photos and a sense of urban belonging. MariahilferStrasse is also a shopping mecca. So if you are an urban shopping addict, be prepared to spend some money when walking along this street. 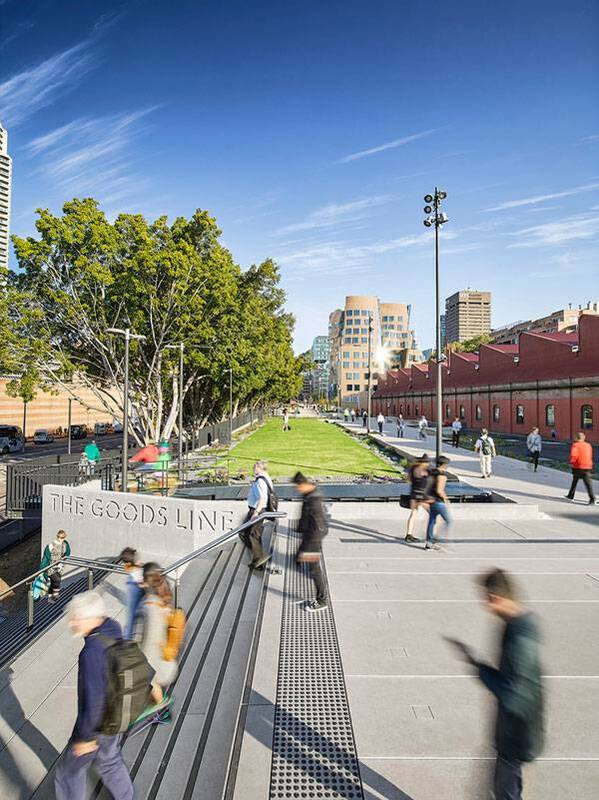 The Goods Line is proof that Sydney has become a more connected, sustainable, and innovative city — by implementing cycling paths and green public spaces in most of its neighborhoods. Also, it’s an idea initiated by the NSW Government and realized by the Sydney Harbour Foreshore Authority. 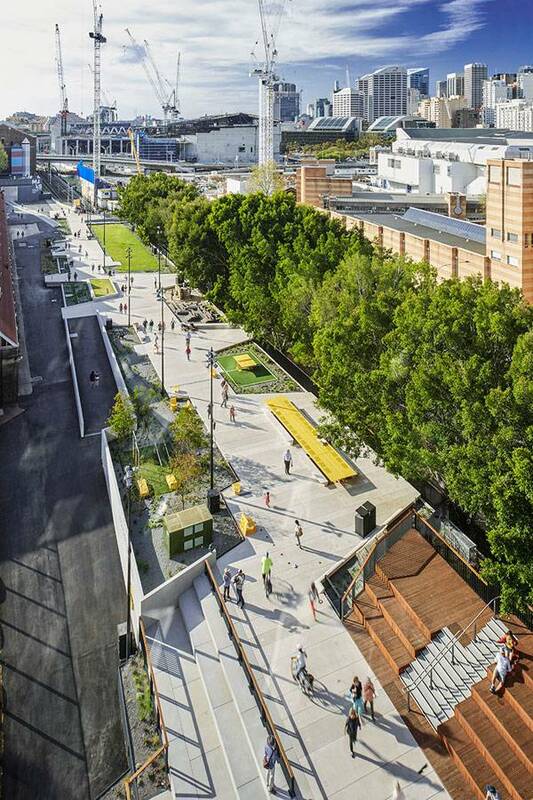 Once an unused rail corridor running from Railroad Square to Darling Harbour, this space had a tremendous potential to be repurposed into something more urban-friendly and beautiful. 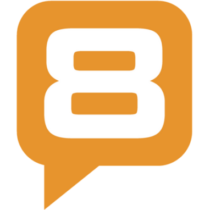 This project is something that every local loves and every tourist puts on his to-do list. The Goods Line is a park where you can rest, be creative, and bond with the community. You can take a stroll through the Goods Line and use it as a walkway from Sydney Central Station to Darling Harbour, but you can also experience the nostalgic history this space has to offer or capture a photo of the great architecture. The Powerhouse Museum is also nearby and worth visiting. 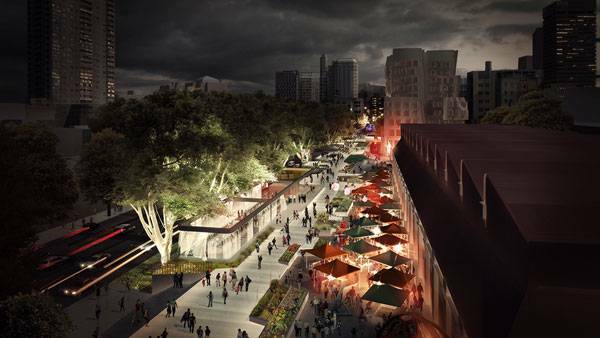 Surrounded by trees, nature, and functional urban architecture, the pedestrian walkway includes bike paths, table tennis tables, outdoor workspaces, playgrounds, and an extra-large communal table for gatherings. 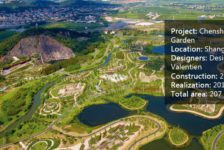 Landscape architects are also known as the urban designers of tomorrow, shaping the future of each city in a functional and sustainable way. This evolving profession has made us widen our perspective and embrace landscape design as something revolutionary. Which project from above do you love the most? Let us know in the comments!